If you're considering funding a startup or franchise, then you may already be ready for the huge gamble of turning a 401(k) into capital investment for a business: potentially losing the retirement account altogether. But are you committed? 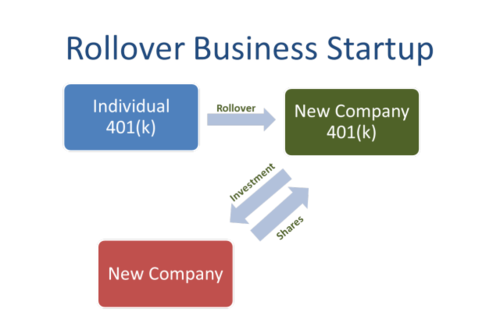 The method described above -- called a Rollover as Business Startup (ROBS) -- injects capital into a business from your 401(k) account. Part of the Employee Retirement Income Security Act of 1974 (ERISA), the ROBS has been popular for years. The potential payoff is tantalizing, which is why so many aspiring entrepreneurs are willing to put all their chips on the table. Unfortunately, few realize just how difficult it is claw those chips back if they're dealt a bad hand. A mishandled ROBS is fraught with tax pitfalls. What's more, the mere act of initiating a ROBS may draw unwanted attention: this type of capital investment is immediately suspicious in the eyes of the IRS. And then you remember that it's your retirement you're betting. That retirement risk brought a longtime business client of mine to my door seeking help to unwind his ROBS. After struggling with the ROBS' administrative hassle (which is often underestimated), the reality that his entire financial future was dependent on a new business in a sputtering economy was just too much. If you're feeling the heat from a ROBS that you might want to unwind, remember that our door is always open. We'll talk you through the issues and get you where you want to go. If you're not sure, call us anyway and we'll connect you to one of the clients who we've helped out of this ERISA nightmare. They'll show you the path down from the cliff. Before signing off, I'll leave you with some background on the ROBS, pulled from a 2009 small business guide that my clients have found helpful. ROBS: For the investor in need of a green thumb. ROBS plans are touted by business brokers and franchise sellers all over the Internet and arranged by investment firms specializing in capital investment. ROBS firms charge a fee to walk clients through the process of creating a C corporation. The new corporation starts its own 401(k) plan or profit sharing plan, which must offer employees the option to purchase stock in the company. The new business owner then rolls over funds from an existing 401(k) into the newly created corporation's plan. The sole participant in the plan (e.g., the owner of a new company) can then direct the investment of the 401(k) account balance into a purchase of employer stock in the new corporation. The transferred funds are used to either purchase a franchise or fund the new business -- essentially creating tax-free working capital. A ROBS may be legal, but it operates in a grey area of IRS codes and regulations. To keep a ROBS transaction legal, the business owner must heed a slew of IRS regulations and avoid making certain prohibited transactions. The penalties for not complying with the rules are staggering. For example, if the IRS determines the deal is a prohibited transaction, it can trigger excise taxes. If you run afoul of these prohibited transactions, you can run up 110 percent -- or more -- in penalties. ROBS deals must be done very carefully and no two cases are exactly the same. This is not something to try with internet software or any law firm that simply "prepares documents at your specific direction," as they say. You want an attorney who is well-versed in ERISA law before venturing into any ROBS deals. It can also become expensive money. Clients who have used these usually need to hire a "plan administrator", someone to be sure that all I's are dotted and T's crossed. That is an ongoing fee. It also could complicate recruitment of new talent. Anyone added to the payroll has to be given the right to access to the profit sharing plan. Remember: it was funded with your money. So what does the IRS think? "ROBS transactions may violate the law in several regards. First this scheme might create a prohibited transaction between the plan and its sponsor. . . . Additionally this scheme may not satisfy the benefits, rights and features requirement of the Regulations. . . . For this reason employee plans specialists are directed to open ROBS cases as described herein." The IRS looks closely at each case for different things, such as to make sure companies that use ROBS funding offer stock ownership to all employees of the business. Failure for that to happen would violate nondiscrimination rules. Another red flag is when the rollover amount equals the business' stock value. Such math, in the view of the IRS, usually indicates the rollover's intent is to be used as business seed money only, rather than to be used as a bona fide employee retirement vehicle. ROBS proponents insist that rollovers performed by reputable companies operate under IRS guidelines and will not raise agency suspicions. In any case, ROBS is not a strategy to be taken lightly. It requires careful thought and scrutiny because you're putting your retirement plan at risk. It also takes work to get out. As always, good luck, good hunting and call us if you need us.